Audio recordings of events in our Readings & Conversations and In Pursuit of Cultural Freedom series are available via podcast generally within one week of the event. Selected past Lannan events are also being released periodically in audio and/or video format. We also have rare video interviews with people such as Peter Reading and John Berger. You may listen to a podcast file in the web browser, or you may download it to your computer for “any time, any place” listening—either on your computer or added to a portable music player, such as an iPod. 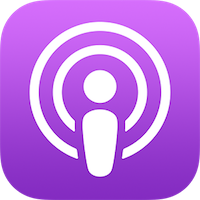 You’ll find one-click links to iTunes and the RSS feed on the podcast site if you want to receive new episodes delivered to you automatically. We also have numerous other options for you to enjoy and share Lannan audio, video, and photographic content. Please visit our Subscribe page for more details about YouTube, Facebook, Flickr, etc.